In our neighbor's yard. 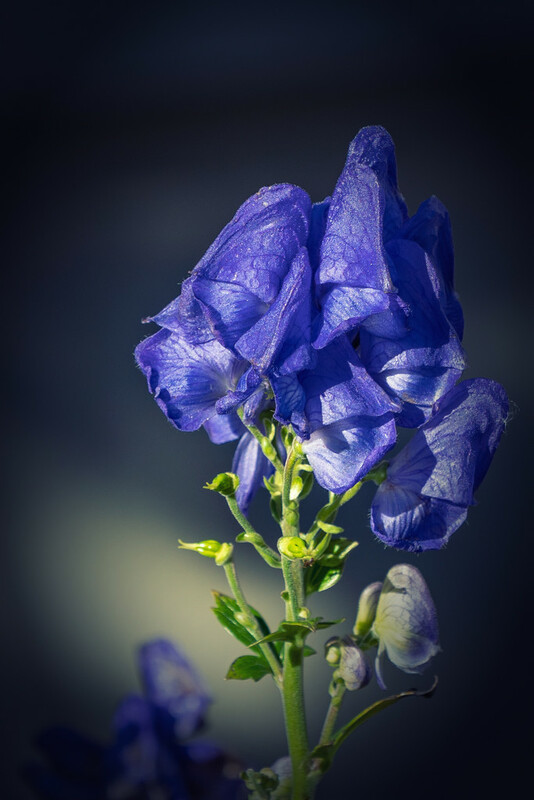 I am told it is called monkshood. This is lovely, and what an appropriate name for it.